There is a ray light for those in the dark. 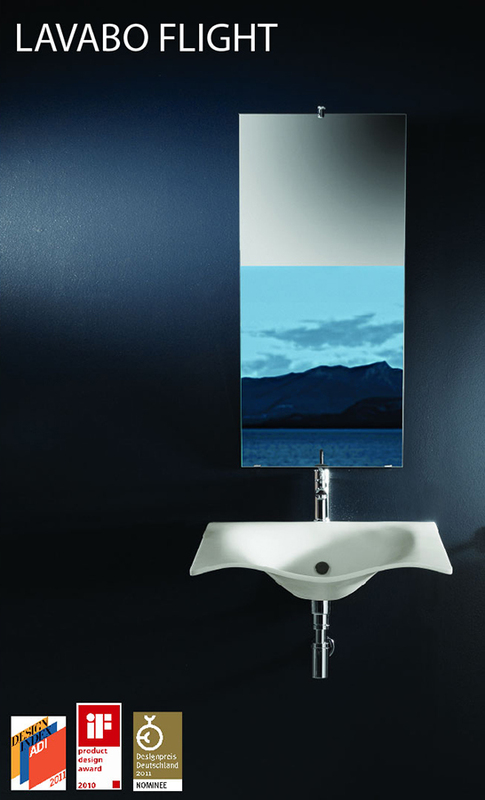 The elements that make up Bathroom Furnishing accessories called "Goman 4H" - Home, Hospital, Help and Hotel - are a complete range of safety aids and bathroom accessories, designed and planned with architects of the "studio Sra.it", the designers Massimo and Francesco Rodighiero, partner of DfAItalia.it with the collaboration of Goman Research and Development department, co-ordinated by Mr. Zambelli Rossano. 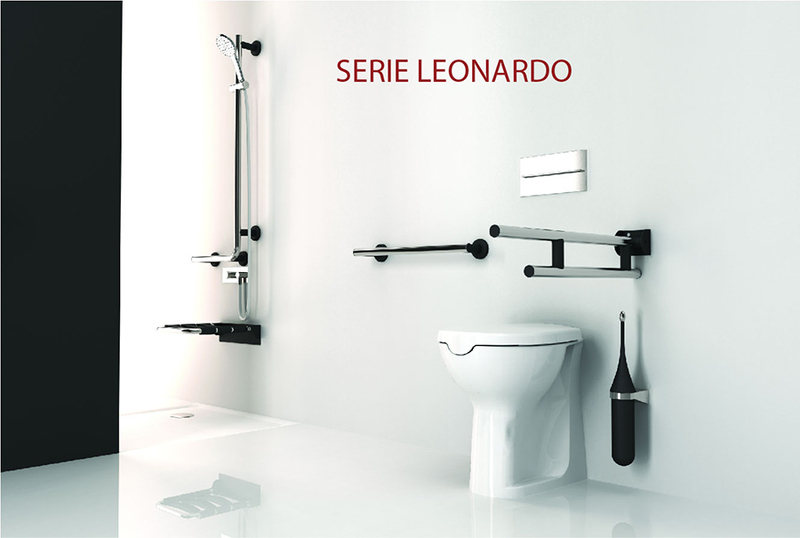 Indispensable objects for protection of all bulging: elements to show and display in harmony, elegant and safe supports in the bathroom. 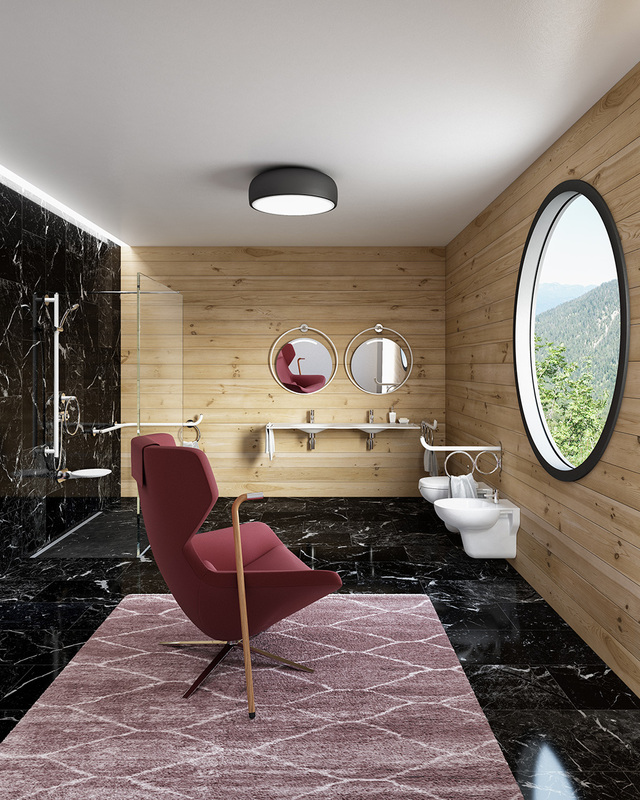 With Goman 4H Bath Furnishing accessories, it is possible to create a unique and elegant bathroom in public buildings (hotels, restaurants, public offices, etc) usable by all, and it is possible to furnish each piece of sanitary ware of the bathroom, completely in compliance with legal standards. Several types of finishing (Chrome, Stainless steel, Aluminium, Polyester coating with anti-bacterial property, Rilsan nylon, wide RAL Colour range) for a variety of solutions. The Series is complete with all the elements needed for creating a bathroom that respects legal standards and human dignity. 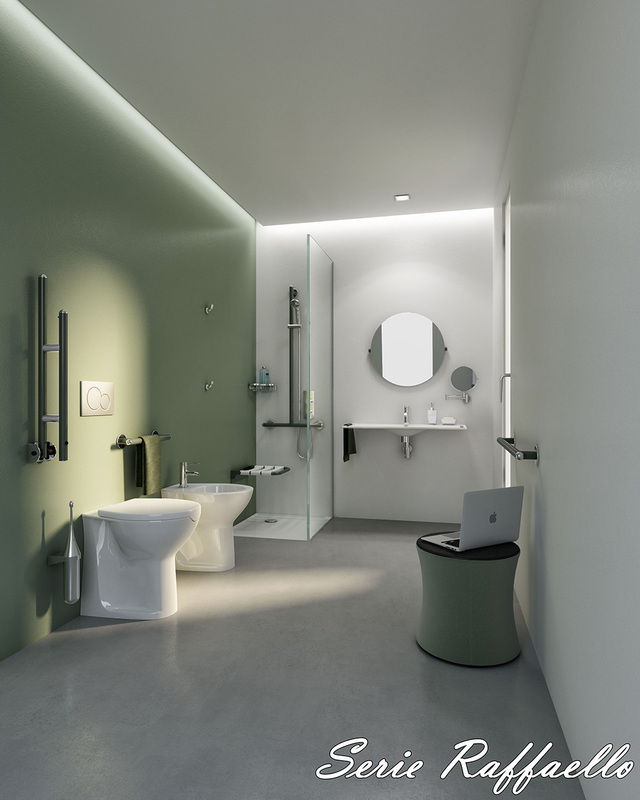 Bars, grab bars, shower seats, sanitary equipments, accessories, self-timer and electronic photocell taps and everything else necessary to make the bathroom a safe and elegant place. 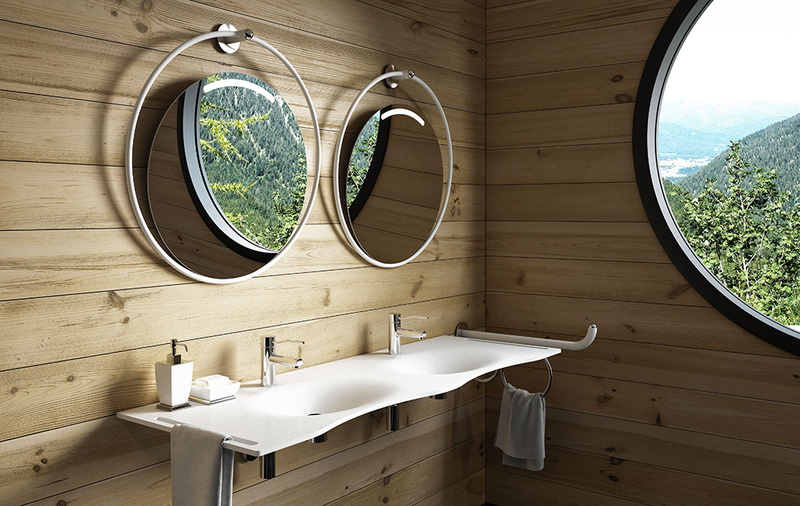 The ”Open” and “Leonardo” series, “Miss Barra” , “Flat” wash basins, “Open” and “Alto3” sanitary equipments, “Flight” wash basin, (this last having numerous awards and recognition for the design and in competition for the “Compasso d’oro 2014” [Golden Compass Award for Design]), thanks to their design and conformity to standards, are some pointers for the realisation of a pleasant and comfortable bathroom inside buildings such as Hotels, SPAs, health centres, private homes, etc..